In December of last year Spotify held a press conference to announce the service had finally bagged a big one: longtime-streaming holdout Led Zeppelin. The service now had the band’s legendary catalog of albums, clearing one of the last major artists not on streaming services. The press fell all over themselves raving about what a big deal it was to finally woo the elusive holdout. 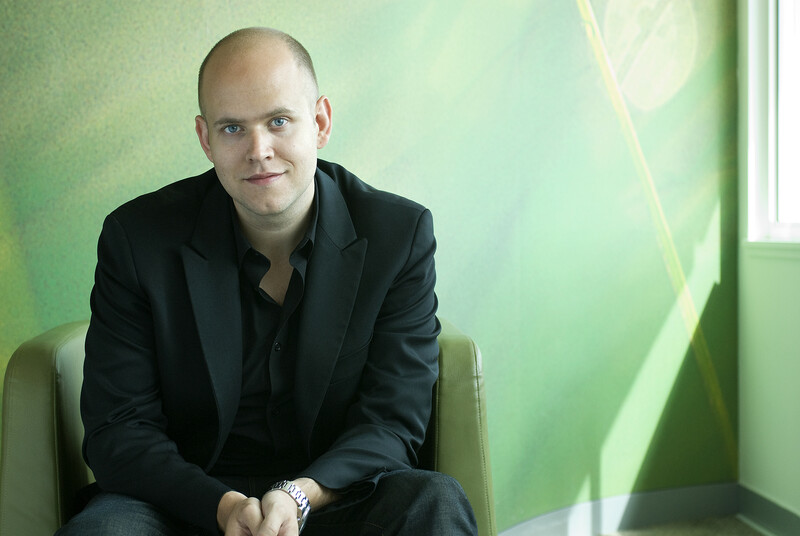 Spotify Founder and CEO Daniel Ek has global ambitions. In the same press conference Daniel Ek announced something even more important to those involved in digital music. After months, if not years, of negotiations with labels, Spotify announced shuffle play—the ability to play any artist in the Spotify catalog for free on mobile devices. Shuffle play is exactly what it sounds like: a customer can play songs from an artist’s catalog only randomly instead of on-demand. But it does mark the first time that rights holders had allowed a free product on mobile after years of insisting that mobile access was, and always would remain, a paid product. Spotify was not about to take no for an answer. Daniel Ek clearly has seen the trends in mobile and knows that the world is increasingly connected through their phones. Maybe you can reach scale with free on desktop in Europe and the US. But most of the world only has mobile access. The company had to have a free mobile offering to execute the company’s overall strategy. So Spotify cajoled, threatened, begged, and–most assuredly–wrote a big freaking check, to get free access on mobile. It’s not the first time that Spotify has done something very difficult that other streaming companies couldn’t get done. It actually has made a habit of it. When Spotify was ready to come to the US, it won over execs nervous that free music would wipe out the world’s richest music market. After a couple years of trying in vain to best The Echo Nest in recommendations, the company bought it outright. When Spotify couldn’t gain label okay for their bundled Sprint deal, it went ahead and launched without all the agreements in place. Nobody in digital music has the determination, guile, brass and—maybe most importantly—the ability to raise money by the boatload to execute their vision. And on the heels of Apple’s rumored purchase of Beats Electronics, it’s I’m important to understand the difference between a me-too streaming service and a firm as disruptive as Spotify. Spotify isn’t comparing itself to other music services, or even other digital media companies. Ek sees the company as a worldwide channel of music listening. If someone is listening to music, from Beijing to Auckland to Los Angeles to Nairobi to Stockholm to Rio, Spotify wants to be the customer’s solution. To execute that strategy the company has created two offerings–a free and a subscription service. Both are extremely challenging businesses build and manage, but just like overcoming label qualms, Spotify is undeterred. Imagine a company deciding to build both Pandora and Beats Music from scratch at the same time and rolling it out around the world. The services work in tandem. Spotify needs a huge base of free users in order to identify those customers to pay for music and build an audience for advertising. And once a customer uses the product for a fair amount of time, they are hooked. So if they are paying, or just convert into the free tier for a while, it just means another impression for brand advertising. The company believes in this double-barreled approach to revenue and users will make it the dominant channel of music playback around the world. After rumors the Beats/Apple news floated last week, some in the media wondered if Google would now acquire Spotify. Spotify doesn’t see it that way. The company believes that their main competition is YouTube, the only other global digital media channel. Of the two services, the one that requires more of a leap of faith is the free service. Spotify believes that a worldwide audience of music lovers will loosen the pocketbook of global brands who will pay a premium to advertise to the audience. Spotify has already had some success in this arena with a global Coke deal. While most advertising businesses in music focus on local ads, Spotify is different. The company intends to continue to carve off a certain number of customers into the paid tier. And it will need to because the costs of the free service are astronomical. Why so expensive? It’s all about the content rights. To launch in the United States, Spotify had to work on the labels for a long time, nearly a year, to get the licenses for music. In the end, Spotify agreed to pay for every free play and paid a significant advance—rumors had it around $200 million—to launch in the US. Compare this to YouTube, who has virtually no content costs. But Spotify believes the blend of converting a number of free users to paid, along with the advertising revenue will cover the costs. Here’s where it gets tricky. While it might make good sense to spread the costs of the free service with paid customers, most folks running subscription music businesses have had a hard time making the model work, due to massive subscriber acquisition costs (SAC) and, maybe most importantly, the rate at which customers leave a service, otherwise known as churn. While Spotify’s SAC is covered in the free product, Spotify will, eventually, have to get their churn to a reasonable level. But that’s for another day. Today the market is strongly favoring those who can show growth. And Spotify’s growth, in particular with its paid subscribers, has been astounding. The company is privately saying it’s at 10 million subs, though not officially announcing that number. Even with the company’s great vision and uncompromising execution, it’s not clear that Spotify will succeed. The company has raised nearly $600 million in venture funding and remains nowhere near profitable. Spotify is readying an IPO for later this year which will be required as it will need to make more investments to launch into Russia, India and China, territories that are necessary to be a worldwide music channel. But getting an IPO out later this year looks suspect, as there is growing concern that we’re in another tech bubble. If Spotify can’t use the public markets to complete their expansion, it will have to make very painful decisions. A former colleague, who always was skeptical about their financials, said that Spotify’s future was either to be one of two troubled company’s–Lehman Brothers or General Motors. Once Spotify reaches significant scale of, say, 20 million paying subs and 60 million free users, the company will control enough of label revenues that it’ll be able to demand a much lower rate. At that point the record labels will need to decide if they provide a bailout or let Spotify go belly-up. One thing is clear. Regardless of the high stakes, Spotify will continue to play their game. There are two numbers that you need to pay attention to in order to make sense of Apple’s breathtaking acquisition of Beats Electronics. Neither of them is the rumored $3.2 billion price. They are 13.3 and 800 million. 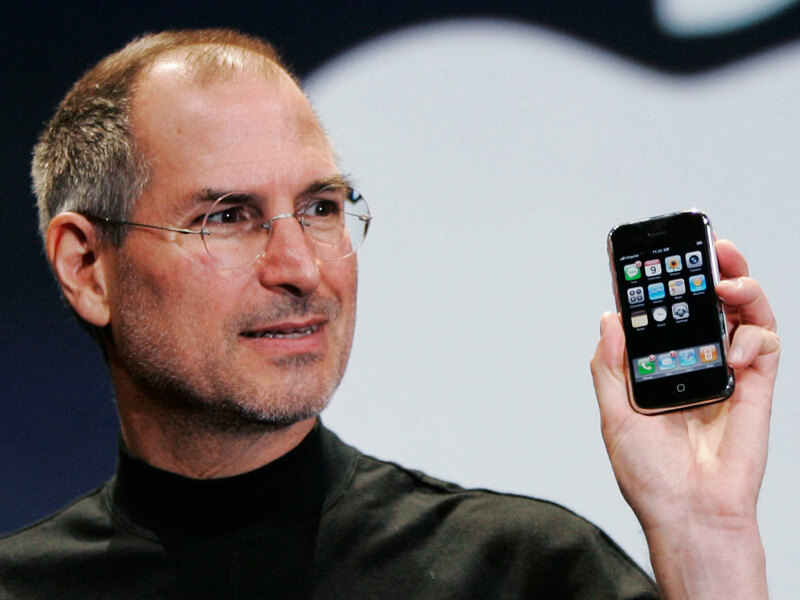 Apple’s saint Steven P. Jobs said customers wanted to own their music. Not anymore. The first number is the percentage that music downloads have decreased in Q1 of this year compared with 2013. This is on the heels of a 5% decrease last year, so it’s looking like the decline is picking up speed. It’s pretty clear that the download era is waning and Apple knows this better than anyone. I’m sure the company has a phalanx of data analysts poring over projections and understand that the rate that customers buy downloads might not be in a freefall, but it could be coming quicker than anyone expects. It’s pretty clear when it comes to the choice between buying downloads or using a streaming service, customers are beginning to choose streaming. But so far, Apple has sat out of the subscription music trend. After all, the Book of Jobs says that customers wanted to own rather than rent music. Those days have passed. Apple needed to hedge their bets and get into streaming. But instead of building another bolt-on to iTunes as the company did with their underperforming radio service, Apple decided to speed their way to market by purchasing a hot new service that had a lot of buzz, but hadn’t scaled so much that it was prohibitively expensive. Beats is the most viable of all acquisition targets. While music purchases may be falling, it’s still a big business for Apple. So instead of creating another option in iTunes that would potentially cannibalize download sales, why not just buy a service and keep it separate? Streaming blows up: Apple wins. Streaming doesn’t pan out, well, it will still have the iTunes store chugging along. The second number refers to the 800 million iTunes accounts, most with credit cards on file. Those credit cards are the keys to the kingdom for anyone who wants to sell something in the store. Apple charges a 30 percent premium for companies to use their in-app purchasing system, where a customer can subscribe directly from the native app. After Beats Music’s troubled launch period didn’t produce many subscribers from the 7-day trial, company executives were calling around to see how other firms dealt with the 30 percent Apple tax (answer—you eat the $3 per customer a month). In late April, Beats launched in-app purchase and the results were stunning. Their iOS app became the number one overall free app. Just as important as in-app purchase is getting featured in the iTunes store. Placement in the iTunes store can make a hit out of an app and can mean hundreds of thousands of downloads. Combined with in-app purchase, the store is a kingmaker that can make or break a company. So once Apple integrates the Beats app, it wouldn’t be surprising that the app will get a permanent featured position in the store. Cha-ching. Oh, and that $3.2 billion price tag? With Beats Electronics’ hardware business already creating significant profits, Apple’s purchase price could be covered within a couple years. So in essence the company is getting into streaming music for a song. Apple Insider: Jimmy Iovine Set To Join Apple?